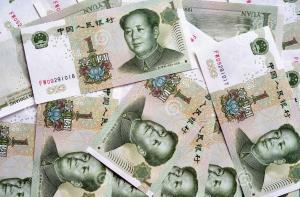 A woman in China has made the news by paying for her new car using a mountain of one-yuan notes. The unnamed customer purchased a new BMW 730Li using 100,000 yuan (£10,825) in one-yuan banknotes, before then paying the remainder of the balance on her credit card. It took 20 employees from the dealership in Zhengzhou, the capital of Henan province, six hours to count the money, according to the news website Eastday.com. It is rare that people will use cash to buy a car these days, particularly in such small denominations. But it is nevertheless important that cash takings sat within a cash register on the premises are included within a car dealership's combined motor trade insurance policy - along with cover for the stock, parts, equipment and the building itself - just in case anything should be stolen or damaged. Reports from the local media state that the woman owns a food retail business and receives a lot of her income in the small notes, which are the equivalent of a 10p coin. The customer decided to keep the banknotes until she was able to spend them all at once when buying a car. Li Moran, general manager of the car dealers, said the purchase had been the first time he and his staff had counted so much cash. He told Eastday.com: “I have read in media that some people like to use small valued banknotes to buy cars, but I never imagined I would experience this kind of thing myself."